This collection showcases and extends knowledge transfer around the 43rd FEBS Congress (July 7–12, 2018), with a selection of review articles from invited speakers at the event. As in 1968 and in 2009, the 2018 FEBS Congress again is hosted in Prague, the capital of the Czech Republic. Prague, having a long tradition in arts and sciences, gained particular importance in the 14th and again in the 16th-17th century. Under the rule of Karl IV of the House of Luxemburg, Prague became one of the most prosperous European cities and the cultural capital of Central Europe. Later on, supported by Rudolf II of the House of Habsburg, Prague continued to be a center of arts and sciences, attracting famous scientists such as the astronomers Tycho de Brahe and Johannes Keppler. Over the following centuries, the city and the entire Czechoslovakian territory was the birthplace of most outstanding artists, writers, politicians and scientists, such as Antonin Dvorak, Franz Kafka, Rainer-Maria Rilke, Sigmund Freud, Madlaine Albright or Vaclav Havel, just to name a few. With this 2018 Prague Congress FEBS pays tribute to important biological discoveries brought about by the most renowned Czech life scientists, including the outstanding Gregor Mendel, botanist and abbot of the Augustinian St. Thomas Abbey in Alt-Brünn, and the Nobel Laureates Jaroslav Heyrovsky and Gerty and Carl Cori. They all made extremely important contributions to their respective field. The lively programme of the Congress this year offers a wealth of cutting-edge topics for discussion. 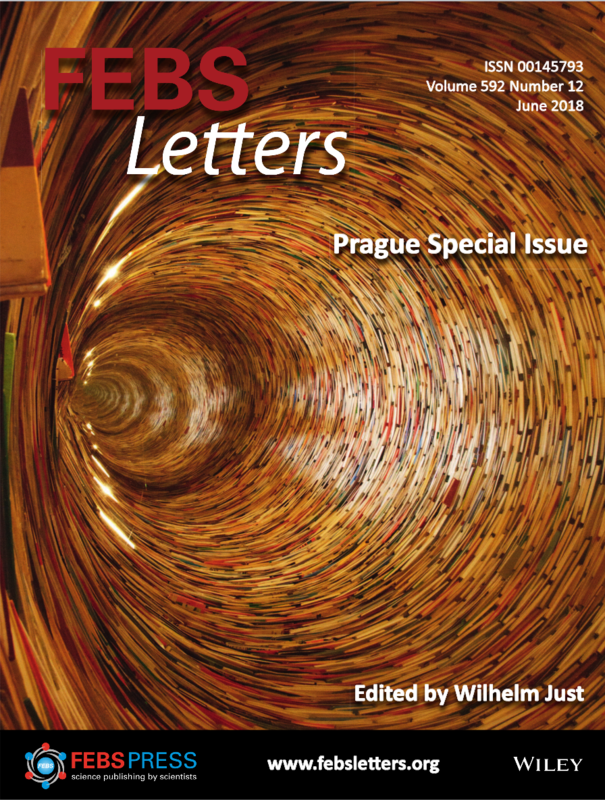 As a result, in this FEBS Letters Prague Special Issue we present a broad selection of Review articles contributed by invited speakers addressing topical questions. The areas covered include Plant Biology, focusing on the function of the kinesin 14 family, host-pathogen interactions, the use of the CRISPR-Cas system in plant breeding and the mechanosensors MSL10 and DEK1 [1-5]; RNA Biology, including contributions on micro-RNA processing, native nucleic acid structure, epitranscriptomic mRNA modification, telomerase reverse transcription and the locus-specific mapping of 5-methylcytosine and its oxidized derivatives [6-10]; Metabolism, with contributions on acetyl-CoA carboxylase targeting, isoprene synthesis in Cyanobacteria and bile acid hydroxyl group oxidation and the gut microbiome [11-13]; Cellular Signaling, discussing the role of FOXO proteins in cellular senescence, temperature control of obesity, the role talins play in integrin signaling and nitric oxide synthesis by molybdenum enzymes [14-17]; Chemical Biology of Thiols, focusing on hydropersulfides and related polysulfides . In addition, there are contributions on structural data archiving , the iNEXT network presented by Lucia Banci , DNA-encoded chemical libraries  and DNA-functionalized biomedical surfaces . With this Special Issue, FEBS Letters would like to acknowledge the efforts of the Biochemical Society of the Czech Republic for taking over responsibility to organize the 2018 Congress. We also thank all contributors for their insightful Reviews. As FEBS Letters was founded in 1968, 2018 is a special year for the journal. We are celebrating its 50th anniversary with a number of exceptional activities, among which the symposium "50 Years of Molecular Life Sciences with FEBS Letters", held last May in Heidelberg, stands out. It was at the FEBS Congress in Prague in 1968 when the journal was born. Today we meet in Prague again, and would like to take the opportunity to wish FEBS Letters another 50 years of good science to come!